Port of Ogdensburg – Ogdensburg, New York | World Shipping, Inc.
Ogdensburg is a city in St. Lawrence County, New York, United States. The population was 11,128 at the 2010 census. In the late 18th century, European-American settlers named the community after American land owner and developer Samuel Ogden. The City of Ogdensburg is at the northern border of New York at the mouth of the Oswegatchie River on the south bank of the St. Lawrence River. It is the only formally designated city in Saint Lawrence County, and is located between Brockville, Ontario to the west and Massena, New York to the east. The Port of Ogdensburg is the only U.S. port on the St. Lawrence Seaway. Ogdensburg International Airport is located south of the city. The Ogdensburg–Prescott International Bridge, northeast of the city, links the United States and Canada, with a direct highway from Prescott to Ottawa, the capital of Canada. Since 1960, World Shipping has been active in serving shippers and receivers of international cargo operating in multiple segments, including freight forwarding, ocean freight, trucking, rail operations, warehousing and distribution, bulk liquid international logistics, and customs clearance. Headquartered in Cleveland, OH, The World Group companies include World Shipping, Inc., ContainerPort Group, UWL, World Distribution Services, and NewPort Tank Containers. 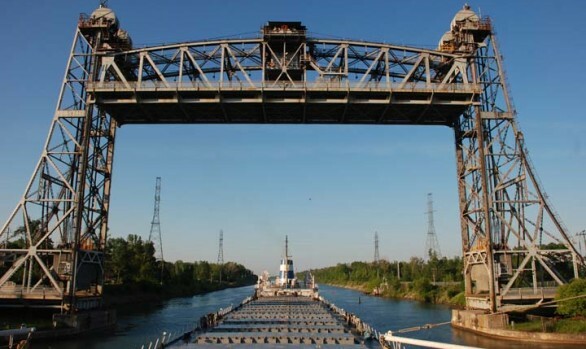 World Shipping, Inc. is an independent shipping agency (Great Lakes Vessel Agents & Canadian Vessel Agents) specializing in vessel operations, APIS/AMS/ACI/ENOA/D, grain forwarding and project logistics. Subscribe to the World Insights newsletter and get the latest news from The World Group of Companies. © Copyright World Shipping, Inc.